I’ve learned a lot since my early writing days…both in terms of my craft and in terms of my attitude. I’ve had some incredible highs and some heart-wrenching lows. I’ve danced with joy and been so devastated by a rejection it’s brought me to tears. The one thing I’ve learned that I try to live every day…it’s all in the attitude. I can let those setbacks destroy my dream, or I can dry my tears, square my shoulders and get back to it. With a smile on my face and determination in my heart. If you really want something and don’t want to be miserable while trying to get it, there really isn’t any other option. Forgive the Star Wars quote but that awesome little Yoda man just says it best – "Do, or do not. There is no try." I understand that it might take a while. I understand that it may not happen for everyone. But if you want the end result, whether it be publication or anything else, it will never happen for you if you don’t press forward. And if you don’t have a good attitude about the journey, you are just going to make everyone, most especially yourself, miserable. Life is just too short for that. It's the most wonderful time of the month. The excitement is growing, the pitches are flowing and we are all here. It's the most wonderful time of the month! Sorry, you caught me in song there. Anyway... 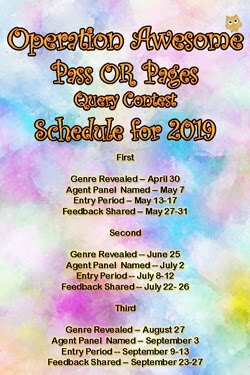 I'm happy to announce the details of the April 1st Mystery Agent contest. No joke. April 1st is Mystery Agent day! 1) Entry limit: 50 entrants. 2) Pitch Length: One-sentence pitches. 3) Genres: YA: fantasy, urban fantasy, dystopian, post-apocalyptic, and steam punk. Adult: fantasy, urban fantasy, paranormal romance, dystopian, and post-apocalypic. Adult Non-fiction: cookbooks, humorous memoirs, healthy living, narrative, current events. Sorry no MG, thrillers, women's fiction, romance, poetry or short stories this month. 4) Novels MUST be complete. We know how exciting it is to pitch, but if you win/enter the M.A. will want to see pages. 5) Even if you entered a previous contest, you can still enter this one, but please only enter once. Last month, we had to disqualify a few for not following the rules. Please, please, please don't get caught in that situation. Katrina will open the contest on Friday. Ready. Set. 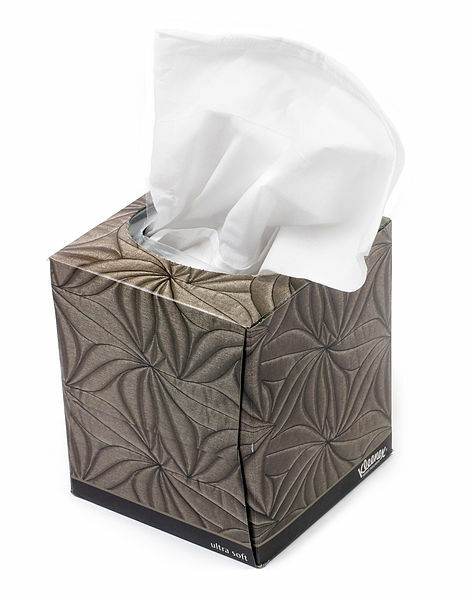 Polish those pitches! Any questions? Leave them after the beep. Beep. So it wasn't quite two years. Twenty-two months to be exact. But approximately two years ago, after my agent and I broke up, I sent my manuscript out to a couple of slush piles for consideration. A couple of days ago, I heard from one. Yes, 22 months. But, if any of you know the publisher, Baen, you know it is pretty common for them. The funny part about it, is that they googled me and found my website. Then they used my contact form on my website to tell me they couldn't get my email to work. So here I am at home, wondering what they would send me. I mean, if it was a rejection, would they bother to ask me for my email before they rejected me? Well, come to find out that it was indeed a rejection, but a personalized one. The frustrating thing about that sort of rejection, is in the last two years I've resurrected my book and revised at least two more times. Is isn't the same book now as it was when I submitted two years ago. Now Baen slush, I believe, initially starts with the Slushmaster General. They aren't official editors of Baen, but readers. But to get a personalized rejection from readers is still a good thing. I guess they don't give out notes in their slush all the time. Several of their criticisms were things that I fixed during edits. A few more are easy fixes. Their biggest complaint was pacing. But the interesting thing about that, is that this same version of the manuscript was considered by an editor of a great publishing house (when it was in the YA round of submissions), and he never mentioned pacing issues. So this goes to prove that writing can be very subjective. One person liked my pacing, another didn't.The publishing industry can be a tough market, because it truly is very subjective. But the key is to always keep an open mind. Because if this slushmaster didn't like my pacing in specific spots, there is a good chance someone else would feel the same. So it is good to get feedback and at least consider how you can apply it in your writing. There is always room to improve. But an encouraging note they sent me, is that they thought it was well-written and imaginative. They even said that my magic system was reminiscent of the magical systems Brandon Sanderson has invented in his books. BRANDON SANDERSON! Now, if you read fantasy at all, you'd know that made me one happy little writer. Brandon Sanderson is awesome, one of my favorites. And for them to compare me to him at all....well, that rejection made my day. So. A couple months back, I shared a post that I originally posted on my blog. That post was titled My Writing Stages a la Robert Pattinson's Hair. Since my To-Do list is HUGE, I figured I'd share another post with a similar tone. See? VERY VALID REASON for writing this post, right? Right??? Now fess up: what's your critiquing style? I only discovered Diana Wynne Jones recently, and I'm deeply saddened to have already lost her. 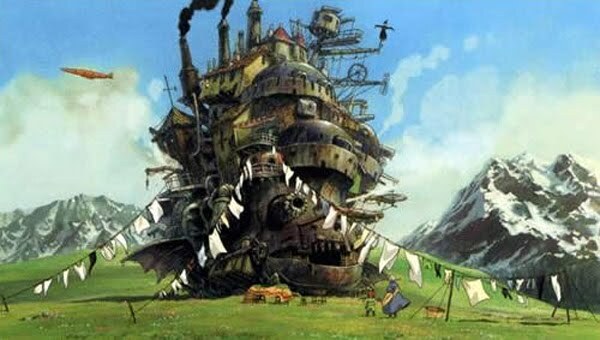 A few months ago I wrote about Howl's Moving Castle on Operation Awesome, one of my favorite books I read last year and all time. I don't think she's been as well appreciated in the United States as elsewhere around the world, so every reader who found her felt that she was their own discovery. I was no different -- Sophie and Howl were a revelation. The work filled a hole in my heart I didn't know was there. A few months later, one of my beta readers commented that my newly completed novel reminded her of Diana Wynne Jones, circa her first book, Witch's Business, but in an American voice. I actually cried. It was one of the nicest things anyone ever said to me. If only it were true and that my career would be a shadow of hers! I've since read another five Jones novels, and I have a long way to go to work my way through her canon. Amazing to me is that her most recent novel, Enchanted Glass, written while she was ill, is one of my very favorites -- a mature, satirical work that asks a lot of young readers and gives more back. The world needs more books like those of Diana Wynne Jones. Until then, we have the ones she left us. Last week Michelle wrote a great piece about torturing your characters. It ties in very well to my topic today. On the heels of finishing Kristin Cashore's debut novel GRACELING, I am devastated. And yet relieved. It's similar to the way I felt at the end of HUNGER GAMES or ACROSS THE UNIVERSE. These authors achieved the perfect level of reader trauma. In the case of Across the Universe, the trauma began in chapter one and took turns lying in the shadows while we got to know the characters, only to return later in another form. This made the book unputdownable. There are many ways to devastate a reader, so let me be clear about what I mean here. I don't mean gratuitously introducing us to lovable characters and then slaughtering them. Your reader will be devastated by that, but not in a good way--more likely in a way that hardens his skin against anything else you can throw at him. This will make a compelling climax very hard to achieve. Don't decimate for the sake of decimating. I've been taking notes on the things that make me cry, or fall silent in tearless shock, or laugh out loud. All of these reactions are part of the devastation. If you don't make me smile, you won't be able to make me cry, either. For instance, if a character loses his left arm, I'll be sad (and maybe a little grossed out, depending on the way he lost it), but if a charming artist who is finally gaining attention for his work loses his painting hand at the cruelty of debt-collecting thugs, that will devastate me. Especially if that character is the love interest, main character, or best friend character. Often you can get away with devastating me without maiming--with the mere threat of maiming. But other times, you'll have to follow through on whatever horrible thing you've promised or I'll just know you're pulling my leg. And then there are the surprise attacks. When I'm sure a character is dead and I'm so relieved to find him alive that I almost don't even care that he's not whole (brainwashed, or blind, or terminal). But how do you pull this off? What exactly is it that separates a horrible novel from an incredible novel in which horrible things happen? the trauma seems preventable so the reader is thinking, "If only she'd stayed behind like she was supposed to," or "If only he hadn't hit the water exactly that way." I'm learning all about the effectiveness of inner monologue from reading awesome books that keep me in the character's brain, whether in first or third person (some of these are from Operation Awesome writers and I can't wait for you guys to get a chance to read them). Sometimes the thoughts are italicized, straight-up thoughts. Other times, it's just part of the narration. But processing what's going on is essential for devastation to take root. See, when the first horrible thing happens, I'm already upset. But it's the narrator's summing up of the facts in an emotional way that does me in. The heroine spelling out that her artist's magnum opus will now lie in the attic unfinished because he's lost his zest for art and life. How the most sensitive, endlessly optimistic person she's ever met is now cynical and depressed. How the one person she let into her heart left it an icy, unwelcoming place in the wake of his disaster. And how, without his hand, there's no way he'll be able to pay the loan shark, and the money will be extracted from those he loves. You don't have to spell everything out, but definitely keep the natural thoughts--the things it would be bizarre not to lay out there. Your character's parents are getting a divorce after 41 years of marriage. He's having an internal reaction. He must be. So whether you show us by his behavior to his own wife, or sum it up in the narration or dialogue, you've got to lead us toward the consequences of his parents' choice. What are some ways you've been devastated as a reader? Why did it work? Did you get a feeling of closure after the devastation? 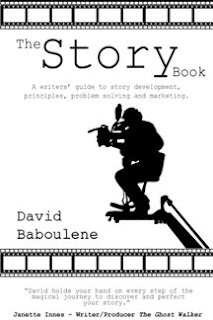 Top Ten Tips For Awesome Stories: Guest Post By Author David Baboulene! 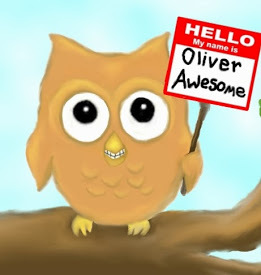 Today Operation Awesome welcomes David Baboulene, author of the The Story Book! He's here to talk about how you can make any story shine a bit more. Without further ado, I give you David! The Top Ten Tips for Awesome Stories! to name but a few. So, from the insights from these fine gentlemen, from my own experiences getting published and writing The Story Book, my work as a story consultant, from working on films and from undertaking my PhD in Story Theory, here are my top ten tips for awesome stories! 1) If you want to be a writer, read a thousand books. Make it a priority, build it into your schedule and discipline yourself to it. Set yourself a manageable word count and make sure you achieve that. Stephen King reportedly writes 2000 words a day, every day. Sunday, Christmas Day, his birthday - every day. And when he finishes a book, if he's only done 1500 words of his daily count, he gets a clean sheet of paper, writes 'Page 1' at the top, and starts the next one. Self-discipline, folks. Yes, being a writer is glamorous to talk about and a romantic place for dreamers, but the ones who make it work very hard, are professional and productive. 3) Don't try to learn 'how to write'. No course or method or guru can tell you how to write. There's only one person who can tell your story your way, and that's you. Those who make it have self-confidence in writing what THEY think is great. Yes, learn about STORY - where the power comes from in stories, how they work, why they exist, how they resonate, what factors are present in all great stories - then use that understanding to get the most you possibly can out of your story ideas in your style. Then you can use your personality and your knowledge to take responsibility and write your story YOUR way to the best it can possibly be. 4) Understand story structure, but structure is NOT a starting point for story development, so don't let it drive you. Let your creative brilliance run wild and free and write from the heart in creating your story, then later, use your understanding of structure in problem-solving, tightening and streamlining the story. 5) Most of all, understand SUBTEXT. And understand the creative behaviours that embed subtext. Subtext is the substance of story. If you have no subtext, you have no story. The more subtext there is, the better the story is perceived to be by the audience. Fact. 6) Stories are about character behaviours. Don't think about 'plot' and 'character' as separate things. What a character does when he takes action will define his true character and what a character does when he takes action will also provide the action. Character behaviours define both plot and character. Get this right, and your story telling will be tight, cohesive and superb. 7) All the greatest stories show us a character learning and changing and growing through the experiences of the story events (or failing to learn and grow, but the lessons are still evident to us as readers/viewer). Try to ensure that at least one character is offered the opportunity to climb the ladder of life. You will find that this is actually your real story, and this is what resonates with your reader or audiences and elevates your story. 8) True character comes only from putting your protagonists under pressure to make difficult decisions. 9) Be professional and unemotional in marketing your book. A) Write the best stuff you can. It ain't rocket science! But you do need to be brave, or else you won't get anywhere. As soon as your material is good enough, you WILL be awesome... and you WILL get a deal! And I promise you - once you’ve had 10 rejections, the 11th don’t hurt so bad! 10) If you would like more detailed information on any of the above, get in touch with me and I will send you a free chapter from The Story Book on the topic that is puzzling you. 11) Get off the internet and go do some writing! Huge thank you to David for stopping by!! If you'd like to contact David, go here. For other info on David's tour, you can check out his tour page here. Now tell me: are there any other writing tips that have helped you craft an awesome story? We all know characters are important in literature (both in what we read and what we write), but what makes a compelling character? For me it's a combination of two elements -- voice and flaws. I'm not talking about someone who occasionally wears the same socks two days in a row. I want someone who knows a certain action is reckless but necessary. Who makes good and bad choices. Who can be selfless but also selfish. In short, I want someone who's human. They can be a million miles away from who I am, but I want to open the page and connect with them. Why would I spend 300+ pages with them if I didn't? I mean, I don't live in a world where teens kill each other on live TV to satisfy the government a'la The Hunger Games, but I cared about Katniss. Why? She's sarcastic, feisty, loyal, confused, tough but vulnerable. She sacrifices herself to protect her sister and, despite coming out the other side alive, has to live with the nightmares. And the best thing? I get to know her as the story progresses. I'll admit I never know everything about my characters when I start a new WIP. For me, reading a new book/writing a new WIP is like making a friend. The voice comes first. It gives me a flavour of who they are. But there needs to be something there to make me want to stay talking/reading them. There may no be a magical ingredient (unless you're Harry Potter) but the one thing I find compelling is this -- they are human. I don't want perfect. Heck, it would be nice to live in a world like that, but we don't. I want to see their flaws. Show me weakness, fear, the odd little habits that make no sense to anyone but themselves. I want to see them evolve as a person. A character never shows who they are straight away, it's waiting to be discovered in the time you take to get to know each other. Just like making a friend, it's knowing there is something else there. That, for me, is what makes them compelling. What about you? What makes a character compelling for you? I've always been a computer drafter. There is something about the clack of my fingers on the keys and the speed from which the words flow. There is also something about the evil word count meter at the bottom of the page, taunting me, displaying my productivity inadequacy. Then there is the ease of editing...over and over and over again. And firefox, lurking in my taskbar, urging me to "just take one peek." Then email, all 4 of them (yes, I have 4 email accounts) and twitter...oh, and don't forget Facebook, and the ever-so-fun, yet distracting, chat box where my online friends await. So you can see, computers are great...but they do have their downfalls when you are trying to get your story out in words. So I sat down with a pencil and an old-fashioned notebook. I've been struggling lately, but last night I actually wrote. So, I think I may try finishing this current first draft on paper, forcing me to get the words out without all of the distractions that keep me from my prose. What about you all? Do you write your first draft with your computer? Or are you the old-fashioned pen-to-paper writer? Which do you prefer? It's hard finding beauty in the badlands of Washokey, Wyoming, but 14-year-old Grace Carpenter knows it's not her mother's pageant obsessions, or the cowboy dances adored by her small-town classmates. True beauty is wild-girl Mandarin Ramey: 17, shameless and utterly carefree. Grace would give anything to be like Mandarin. When they're united for a project, they form an unlikely, explosive friendship, packed with nights spent skinny-dipping in the canal, liberating the town's animal-head trophies, and searching for someplace magic. Grace plays along when Mandarin suggests they run away together. Blame it on the crazy-making wildwinds plaguing their Badlands town. Review: I have been waiting to read this book for more than a year. The first time I discovered Kirsten was through the uber-awesome YA Highway site, and after reading her debut's description, I was an instant fangirl. And when LIKE MANDARIN landed on my doorstep, I prayed the book was just as amazing as that gorgeous description. Folks, I was NOT disappointed. I could tell you to read this book for several reasons. Characterization is unbelievably thorough, with Grace disdaining her pageant-y past and longing for more. Or Mandarin, wily and mysterious without being cliche. I could gush about the perfect world-building, and how Washokey felt so real I thought I was actually living there. This is probably one of the most vivid settings I've ever seen in a contemporary (usually, the type of detail shown in LIKE MANDARIN is saved for sci-fi/dystopians/urban fantasies/historicals). But the real reason why I loved LIKE MANDARIN is this: Kirsten Hubbard is not a writer, she is an artist. She crafts one beautiful sentence after another, as if writing predictable and overused descriptions/emotions were a sin. There's power in the simplicity of her words. She can break your heart or make you smile with just one image. I finished this book and thought to myself, "I will never be as good as her." Then I thought, "I will never get this book out of my head." You read how Grace and Mandarin are searching for someplace magic in that summary, right? My someplace magic is Kirsten's writing. I am forever a fangirl. 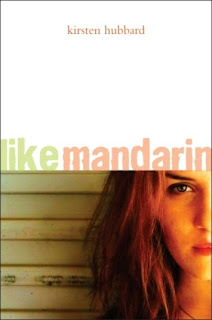 Make sure you go pick up your copy of LIKE MANDARIN, which is in stores now! 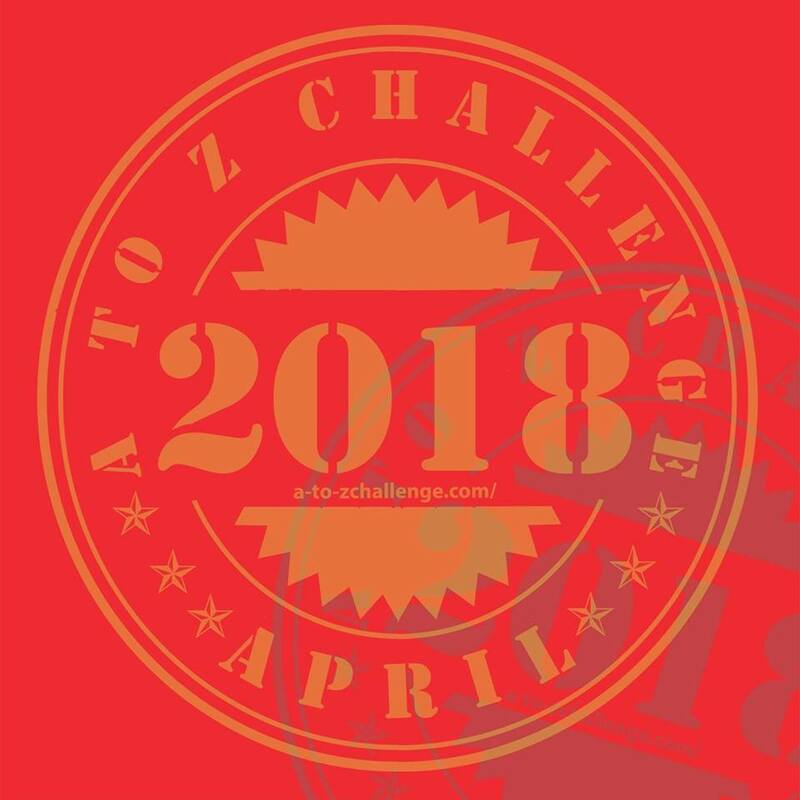 Kathleen Ortiz began her career in publishing at Ballinger Publishing as an editorial assistant, writing and editing for their young adult section, and as an interactive media designer, working to boost the magazine’s online presence through social networking. She then moved on to UWire as online editor for the features, art & entertainment sections. She has also taught high school classes as a visual media instructor. After teaching for a few years, and even a seven-year stint in veterinary nursing, Kathleen moved on to her true passion of working within the book industry. 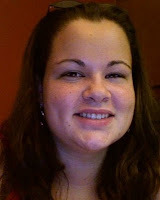 She interned with Fine Print Literary and Caren Johnson Literary Agency, and is currently working toward her M.S. in Publishing at Pace University. Kathleen is currently Associate Agent and Foreign Rights Manager at Lowenstein Associates. With the continued demand for online marketing in publishing, a strong online platform is essential for today's authors. Kathleen uses her background in interactive media design to assist Lowenstein Associates’ clients with branding themselves. Thanks to all who participated! And thanks for your patience! There were (as I usually see in my slush / at conferences) a lot of YA paranormal. Let me stress that I am a huge fan of paranormal (it was the first genre I sold as an agent! ), but there is SO much of it out there that it’s really hard to make it stand out without a really unique hook. So if your hook immediately made me think of another paranormal novel, I passed and went to the next pitch. Also, if your hook doesn’t grab me with an action of some sort, then I passed and went on to the next one. Something to think about when constructing your pitch for a conference (where agents will hear dozens of other paranormal pitches). 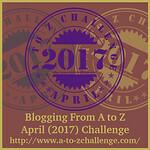 To the eight writers who won, please send me one Word document with the query letter as the first page, followed by the requested pages, to blog.kortizzle(at)gmail.com. In the subject line please write “Contest Winner: (title of MS).” I will confirm receipt within 48 hours and get back to you within four weeks. Looking forward to reading!! Thank you, Kathleen! Eight winners! Congratulations, guys!! You offered an unprecedented number of entries (75) and a whole lot of talent and fresh ideas. On behalf of myself and the other ladies of Operation Awesome, I want to say thank you for making this contest so much fun! And now, find out more about the March Mystery Agent. Amparo: Your clients never stop singing your praises on their blogs and Twitter, and even made you a Happy Birthday video! Aside from doing those uber-nice things, how would you describe your dream client? Amparo: In a cage match between you and The Query Shark (the awesome Janet Reid), who would win and why? Kathleen: My legal team has advised me that while the probability of finding an already manufactured cage large enough to fit a TRex is quite slim, the Shark would win in a style that resembles the end scene of Karate Kid II. Including the nose honk. Katrina: Do you have any agency or client news we can get excited about? Kathleen: None that I can talk about right at this moment, but keep your eyes peeled to my blog. to Kathleen and the talented writers who shared their tweet-length pitches this month! A teen hacker is drawn into a war between parallel universes when she meets an alternate version of herself from another dimension. Valkyrie Mina Flynn’s soulchained: she’s got 7 days to exorcise the demon Zamiel, or she’s dead and damned. She’s in for a hell of a week. A teen whose touch heals or infects struggles to unearth her past before the forces of Life and Death deploy her as a weapon. Virtual Environment Ten—VEX—turns deadly when Tana, 16, discovers something wants to download itself into her body and take over her life. In an alternate 1961, 17-year-old Meri leaves her fishing town looking for a more exciting life. The chance to fight Nazis? That's a bonus. When selling her appendix on e-bay doesn’t work, ten-year-old Annie seeks other ways to save her best friend’s house from foreclosure. When the population of a nearby city vanishes overnight, aspiring detective Kalinda joins the search party. But the city isn't empty. A runaway Alabama boy takes his dad’s cremation urn on an adventurous father-son trip to scatter the ashes in a special (& illegal) spot. Friendly Reminder: Back Up Your Book!